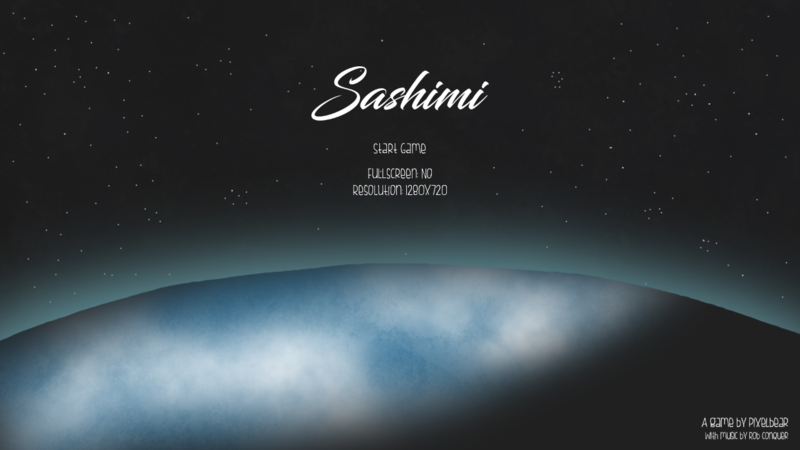 Set in the distant future, Sashimi is about an astronaut that crash landed on a far-away ocean planet. 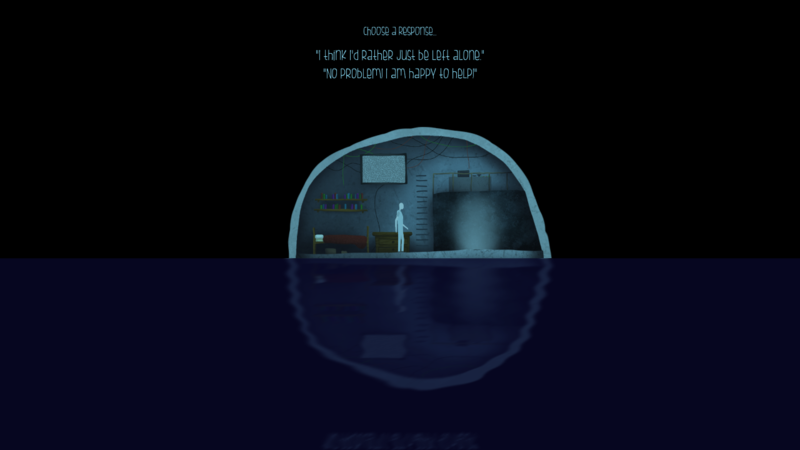 While maintaining communication with Jones, their contact back on Earth, Jones suggests passing the time using a little ancient technology, a fishing rod, and the story begins. 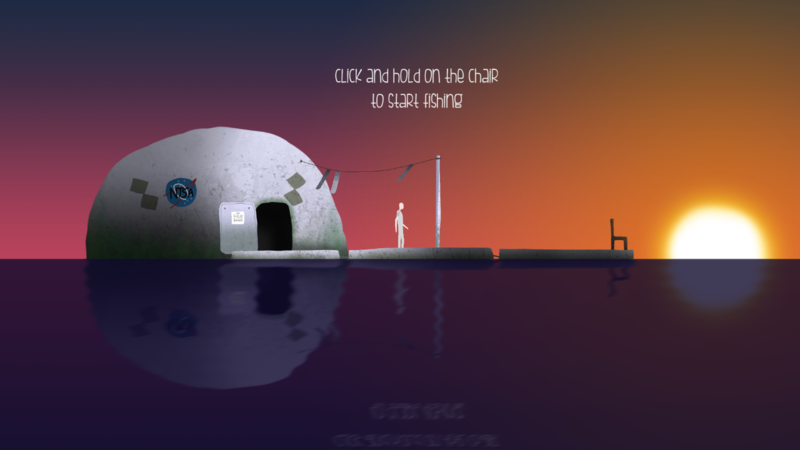 Sashimi is a fishing game with light visual novel elements. It features voice acting (by me!) and a beautiful, relaxing environment to fish in. 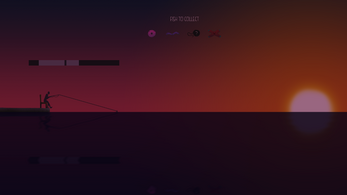 Controls are explained in-game. However, if you want to change the volume, use the +/- keys. Simply download the game, unzip and run "Sashimi.exe"